With a population of around 340,000, Coventry is the second largest city in the West Midlands. There is great diversity to be found in the property market in Coventry, ranging from 1920s-built properties set in lovely grounds to quaint thatched cottages and everything in between, to suit all manner of homebuyers. At My Home Move Conveyancing we are developing our knowledge of the local market, allowing us to provide a specialist, fixed fee conveyancing service. When buying or selling property in Coventry, you are required to instruct a lawyer to complete the legal work on your behalf. 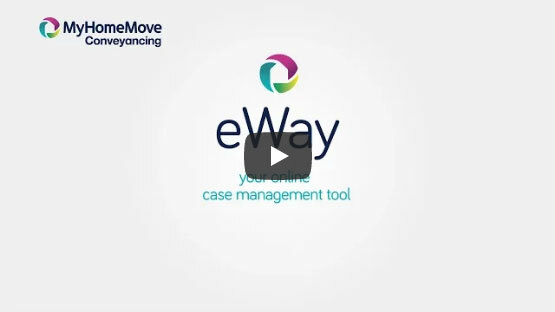 Take advantage of the award winning customer service offered by My Home Move Conveyancing, that we skilfully combine with our innovative use of technology and knowledge of the local area. Our fixed fee conveyancing service comes free of hidden extras, meaning you can plan for exactly how much you’ll be paying from the outset. If you don’t end up moving, you won’t pay us anything. We assign each of our clients with a dedicated conveyancer who will oversee your case from start to finish, providing you with a consistent point of contact and regular progress updates. At My Home Move Conveyancing we can supply our conveyancing service to customers across the Coventry area, from happening Priory Place in the city centre to the popular Stivichall residential area, and sought after Earlsdon. The average house price in Coventry is £123,088. During the last year the majority of property sales in the area involved terraced properties, which fetched an average of £135,548. Semi-detached properties were popular, selling for an average of £179,111, while detached properties went for an average of £287,950, and flats £100,480. Coventry is a city with a rich history, having acted as the seat of government more than once during the 15th century. There are remains of the Roman Lunt Fort at Baginton, the legend of Lady Godiva and one of the city’s best known landmarks, St Michael’s Cathedral. Coventry boasts a central location within England and Wales, meaning it is well suited for getting around when it comes to transport. It is close to the M1, M6, M40, M42, M45 and M69 motorways, while London can be reached in just over an hour by train from Coventry railway station. The nearest international airport is around 11 miles away in Birmingham. Coventry University is located in the city centre, while the University of Warwick is found a few miles outside. Families with younger children have a wide variety of primary and secondary schools to choose from, including Mount Nod and Park Hill Primary, Blue Coat Church of England School, and fee-paying Bablake School, while Woodlands Academy is a specialist sports college. All properties in Coventry will fall within one of the following council tax bands.